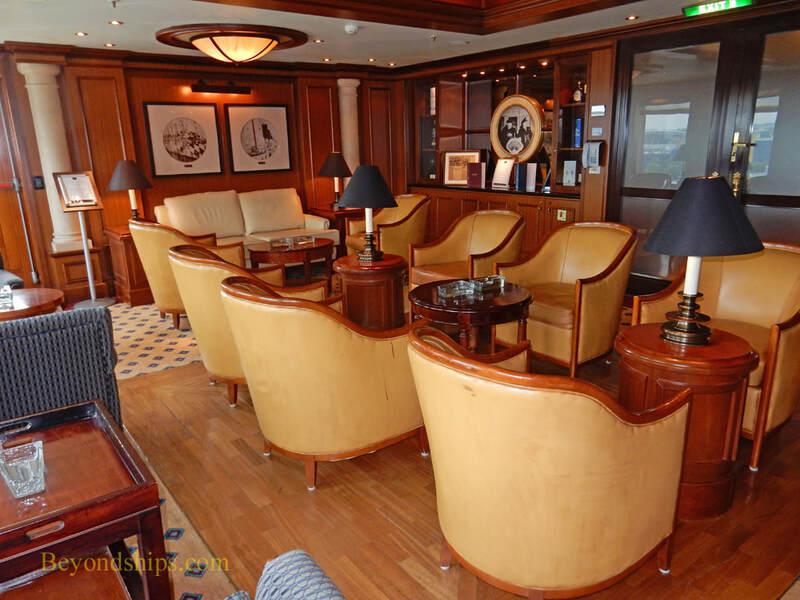 superstructure is the Commodore Club with nautical items, Cunard memorabilia and spectacular views of the surrounding sea. 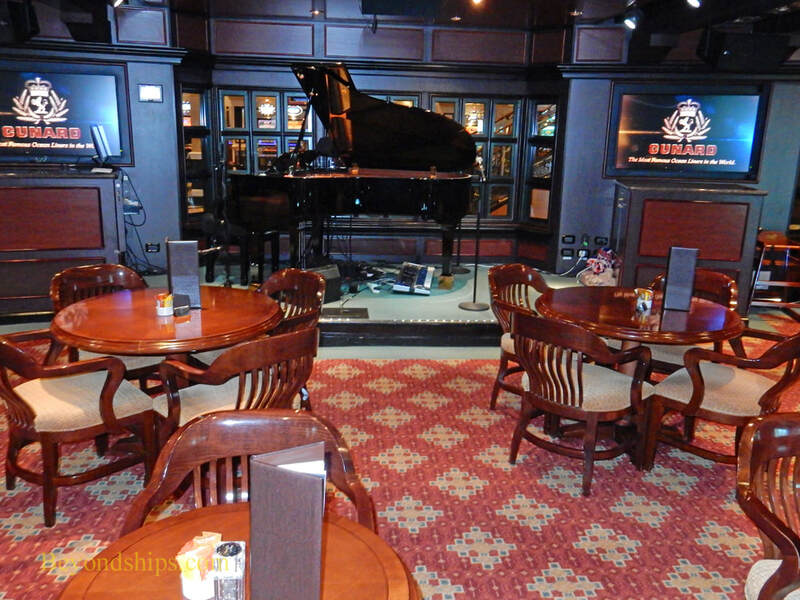 Immediately aft of the Commodore Club is a separate room called the Admiral's Lounge (below left) and next to that is Churchill's Cigar Lounge (below right). 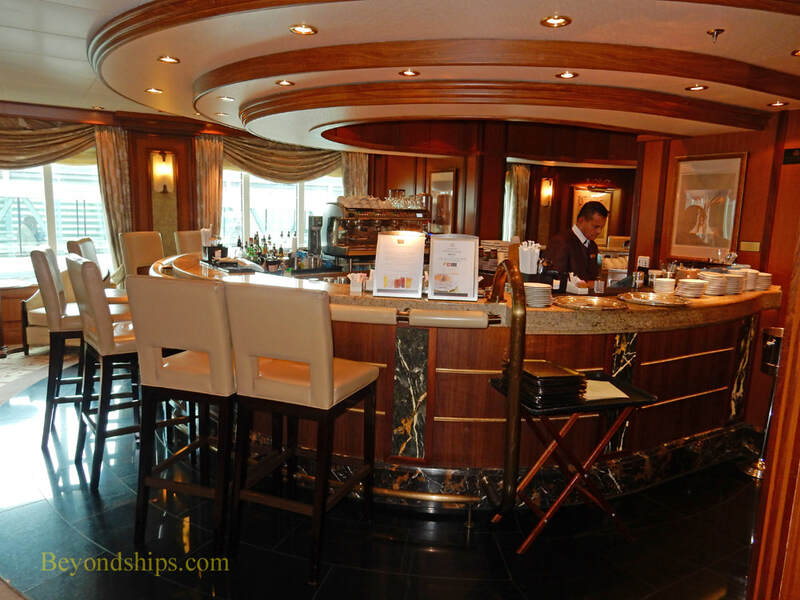 Overlooking the Grand Lobby, Café Carinthia is both a bar and a specialty coffee shop with premium coffees, teas, sandwiches and pastries. 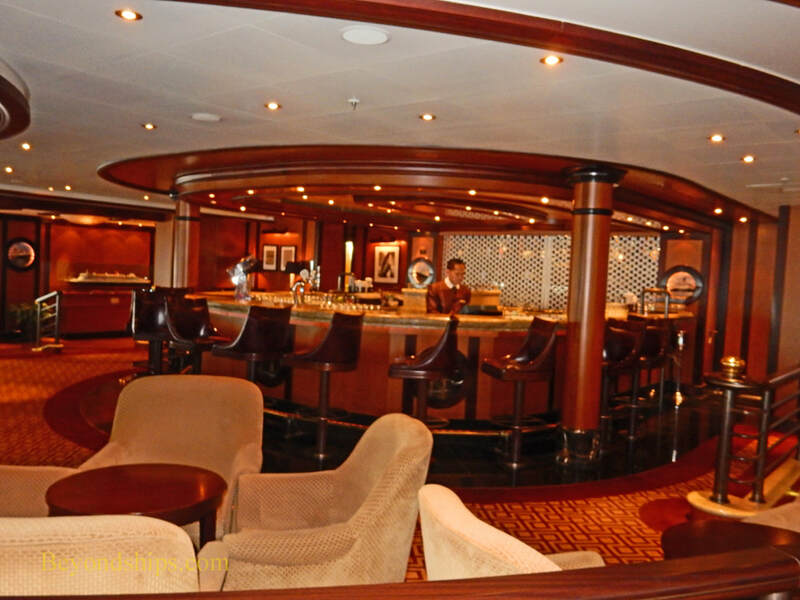 Occupying the corresponding space on Deck 3 is the Midships Bar. 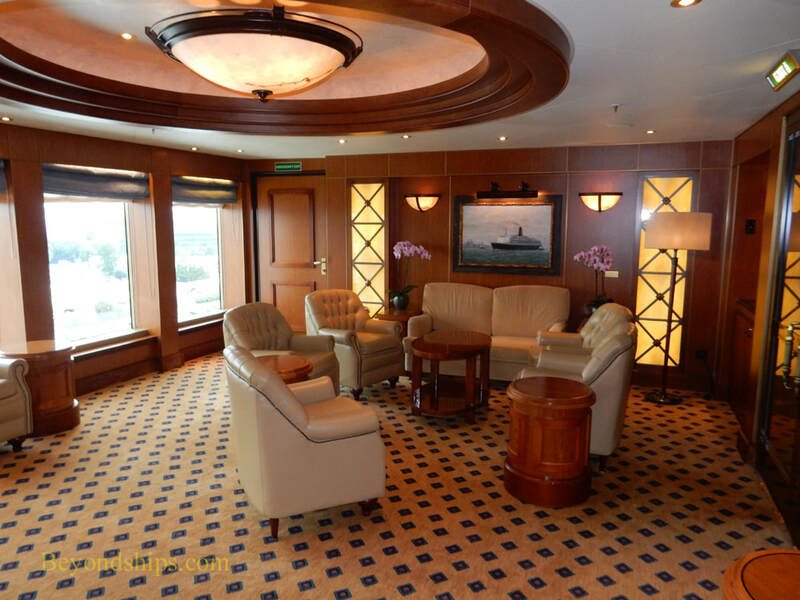 The room is named after a venue on the original Queen Elizabeth. 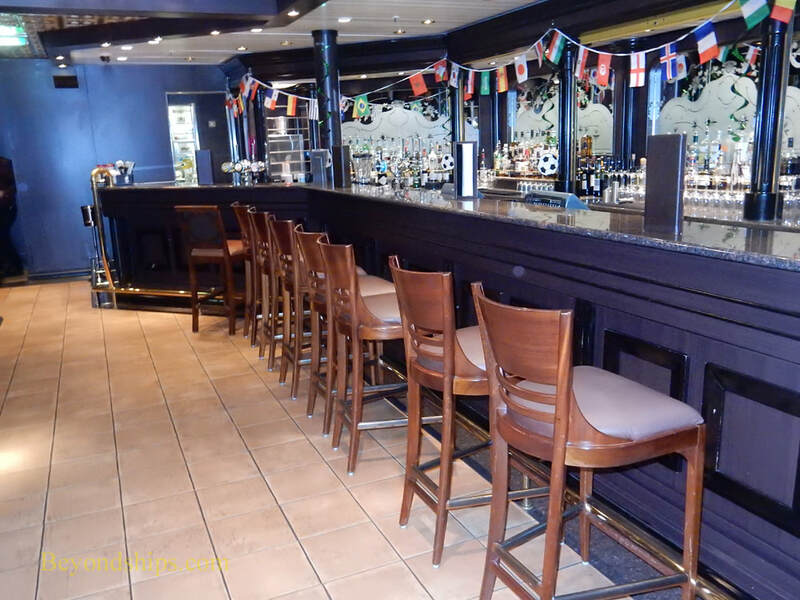 (The names was also used on QE2 until 1994 when the Midships Bar became the Chart Room Bar). 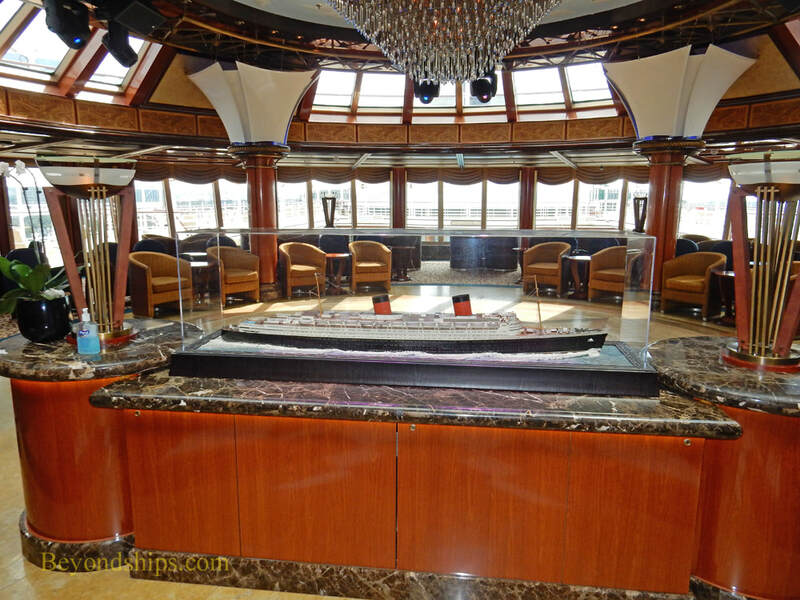 The Yacht Club, Queen Elizabeth's nightclub, is named after the venue that served as the nightclub on QE2. 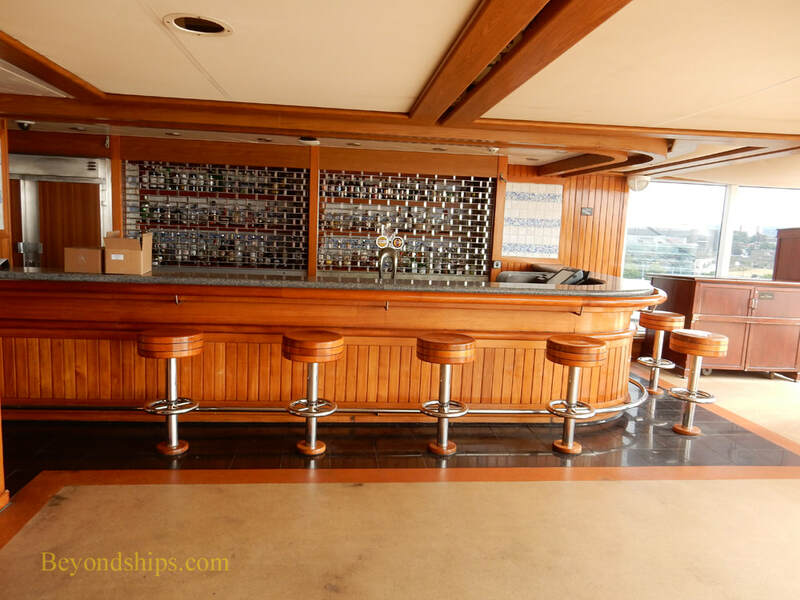 (The location of the nightclub on QE2 changed several times during the course of that ship's career finally ending up in the Yacht Club when what had been a small piano bar was tripled in size in 1994). 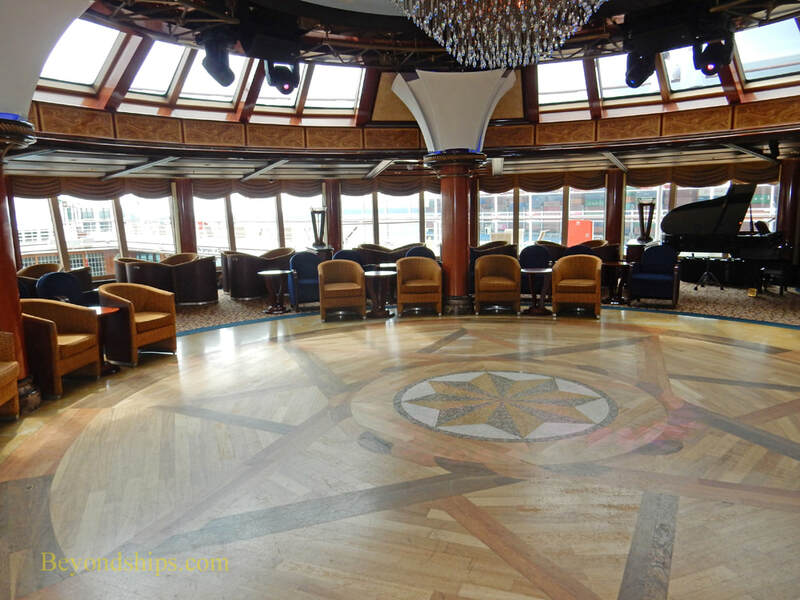 The Yacht Club on Queen Elizabeth has a large dance floor and offers view over the main pool area. 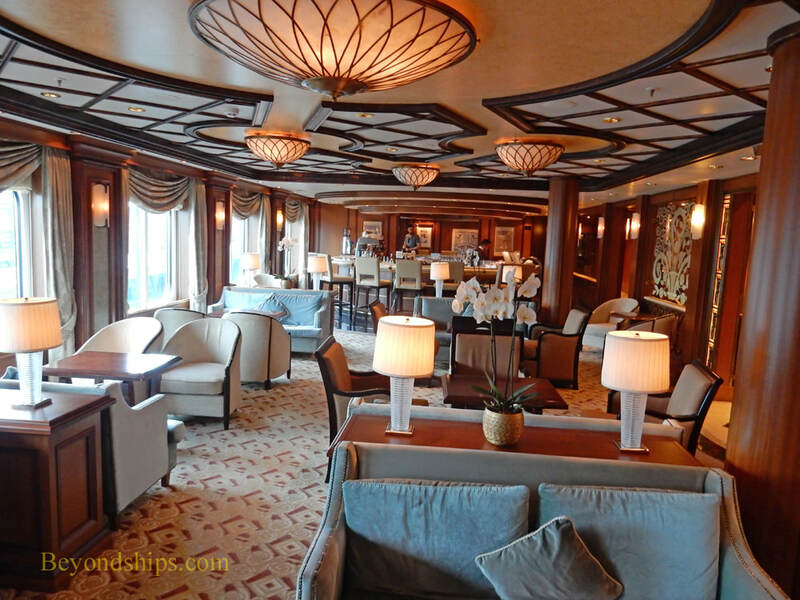 The Garden Lounge lies at the aft end of the main pool area. 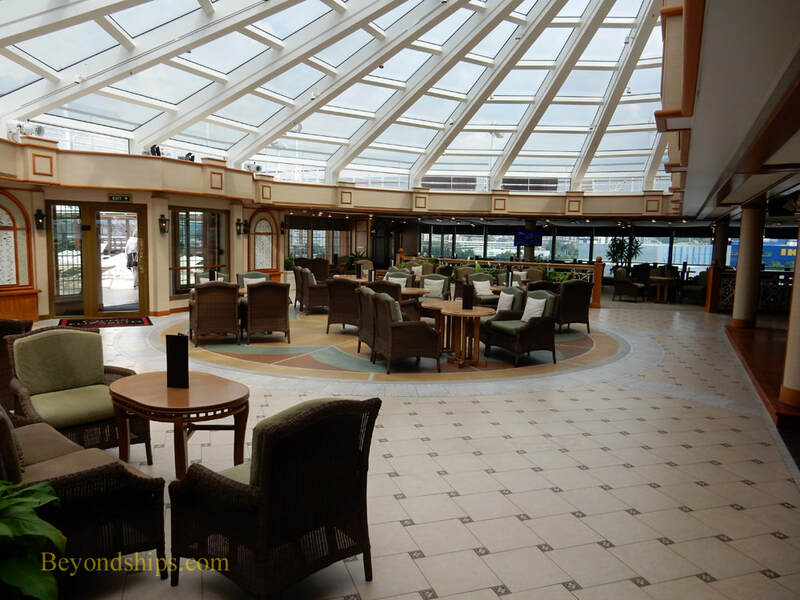 It has a large glass roof reminiscent of a very large conservatory. 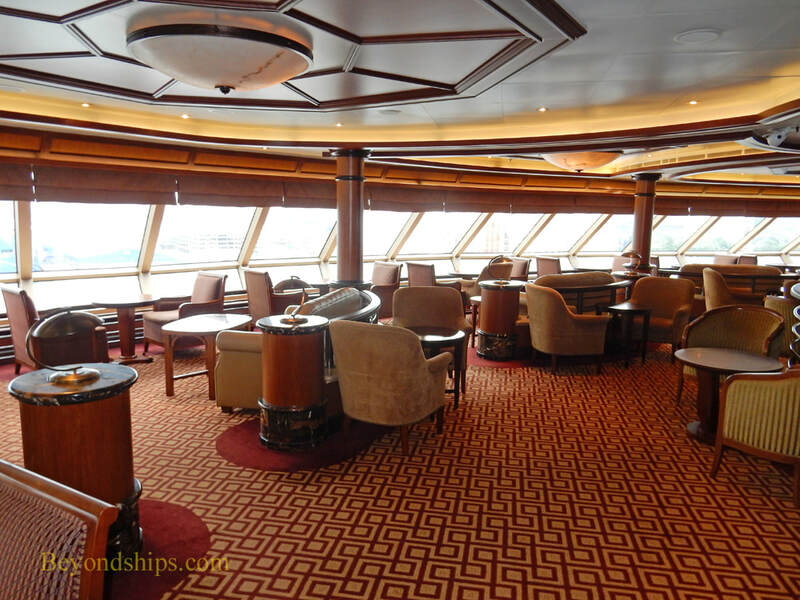 It is used for receptions and for evening recitals by the ship's musicians. 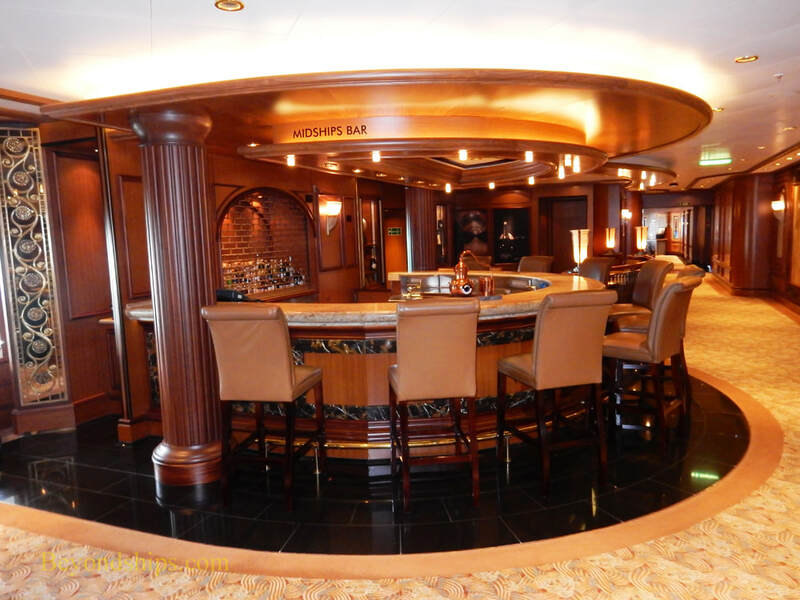 Bar into one of the ship's most popular venues. 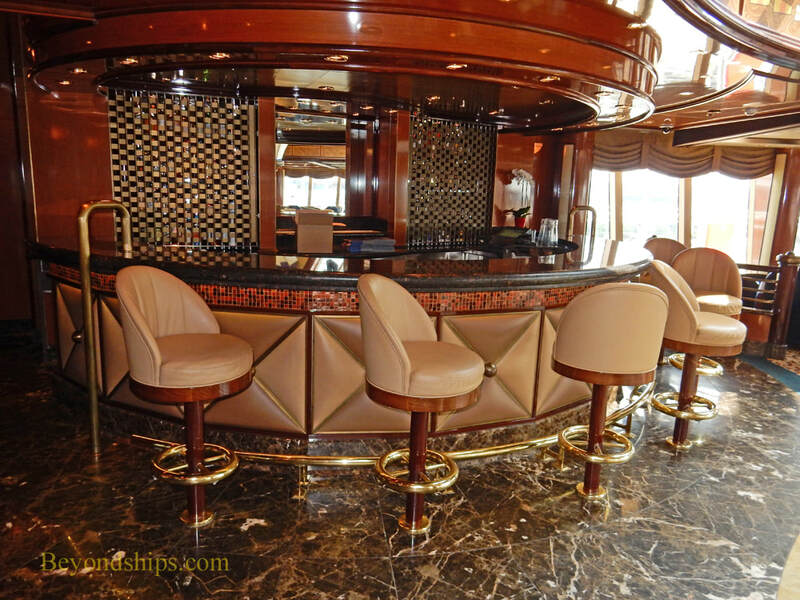 Both of the Queen Elizabeth's pool areas have a bar. 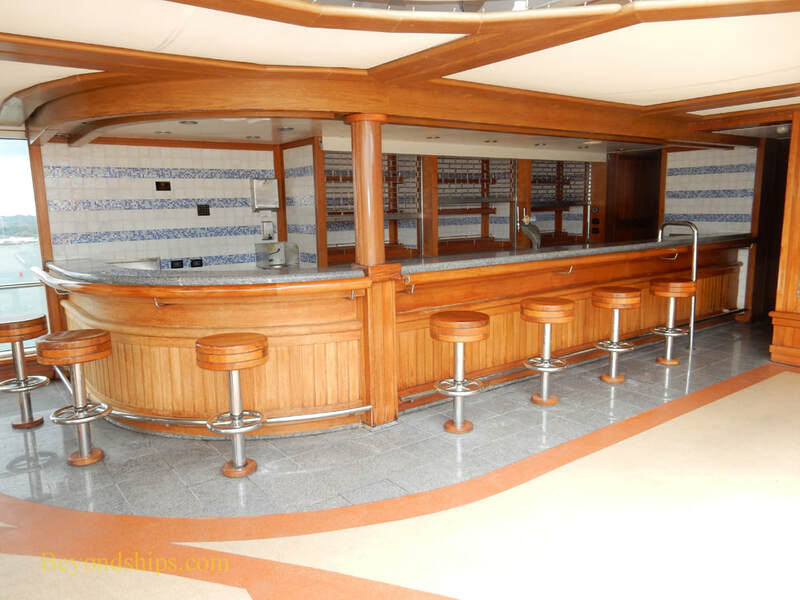 Left: The Pavilion Bar. 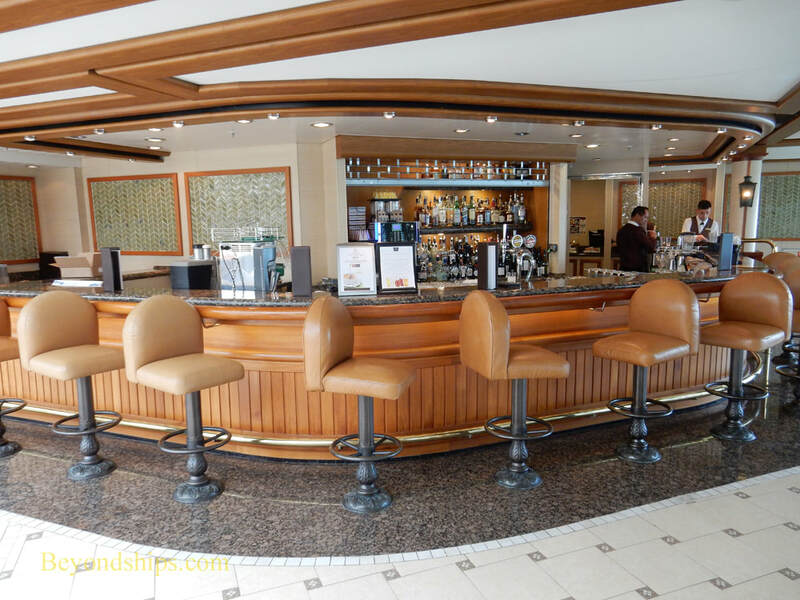 Below: The Lido Bar.